Registered by solittletime, Portland, Maine, USA on October 2, 2017. Pre-numbered label used for registration. Mass market paperback. Reserved for the 2017 Never Judge a Book By Its Cover Release Challenge, hosted by Secretariat, which week 39 features the 3rd quarter re-do and this book refers back to week 27 - color in the title. And the Pick A Pair Challenge, hosted by Trekwoman. Released in a Little Free Library at 125 Newbury St, Portland, Maine USA, around 9 PM on October 04, 2017. This was a re-read for me after many years. Very enjoyable, although knowing the story so well makes the big reveals less impressive. 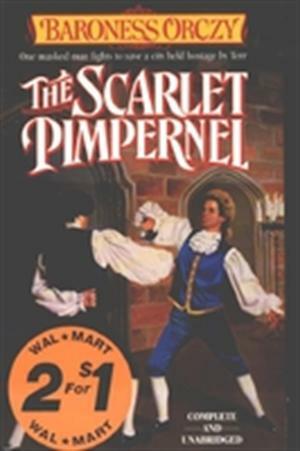 That said, I’m checking out the sequel...Elusive Pimpernel!